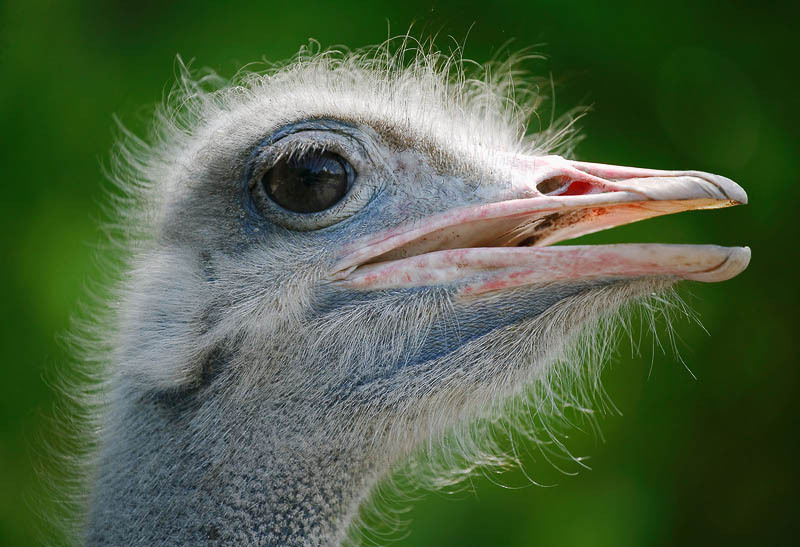 Portrait of African ostrich bird. Macro of head of wild animal with blue skin, big eye and pink coloured beck. Wildlife.